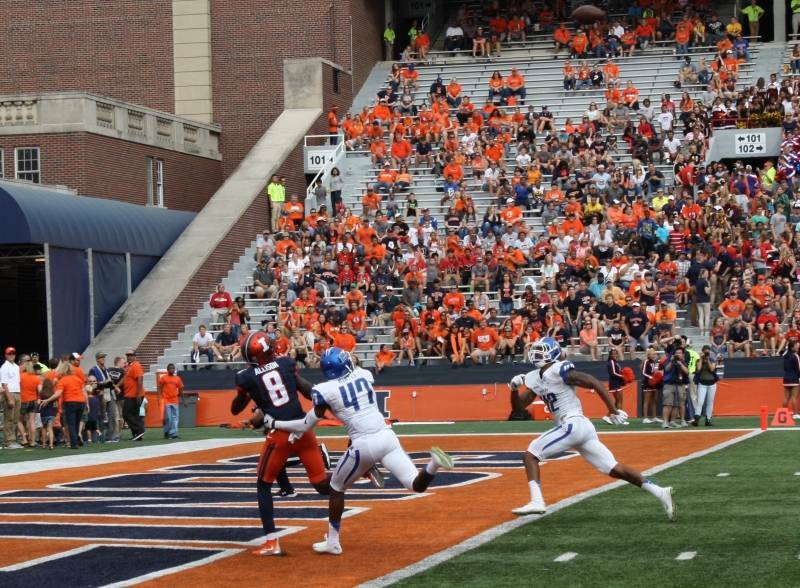 Illinois moved halfway to bowl eligibility on Saturday with a 27-25 win over Middle Tennessee. 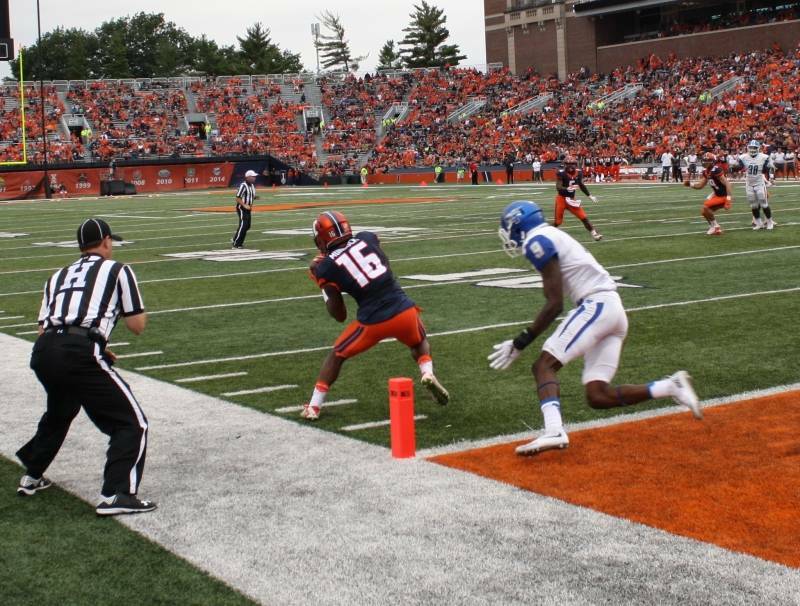 Technically, this is what the schedule was set up for and 3 wins is exactly where the Illini should be. But the "technically" is a major qualifier. Beating Middle Tennessee because their kicker couldn't kick a 43-yard field goal doesn't really feel like an accomplishment. 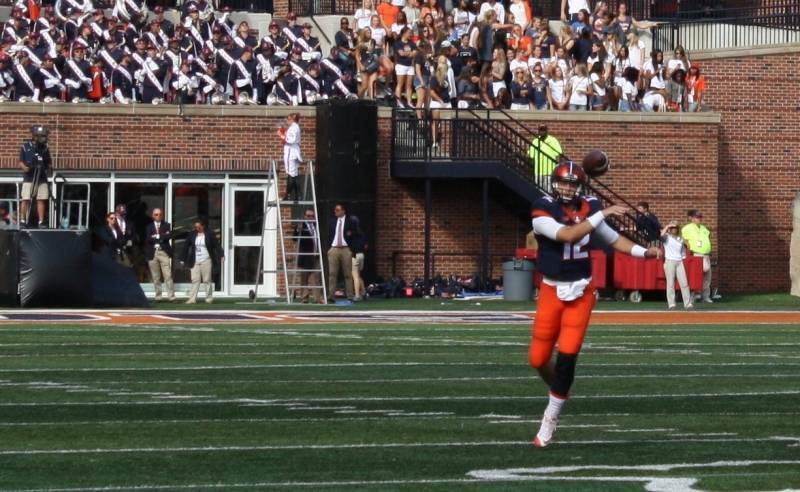 The offense, which was supposed to be a strong point this year, with Wes Lunt and Josh Ferguson stepping up and leading the way, was not very effective against a Conference USA opponent. 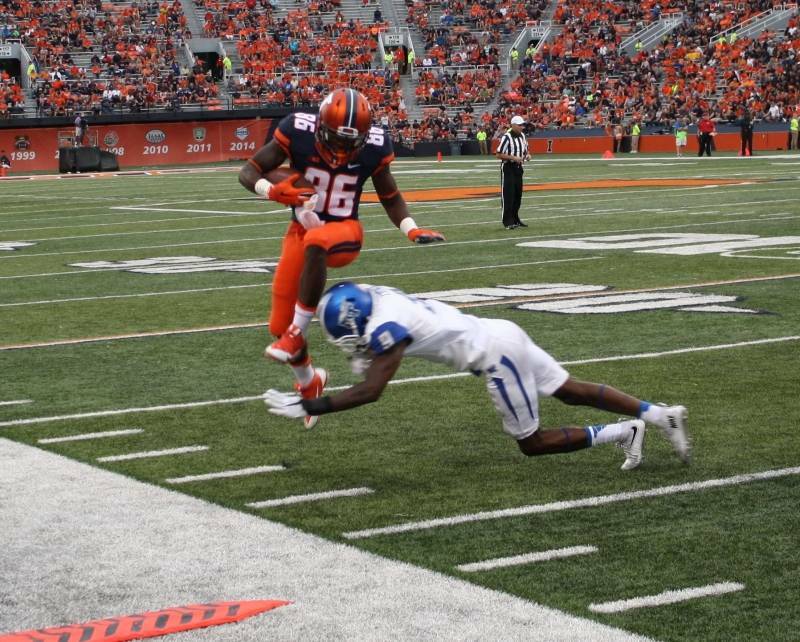 The Blue Raiders had more offensive touchdowns and better passing numbers all day. 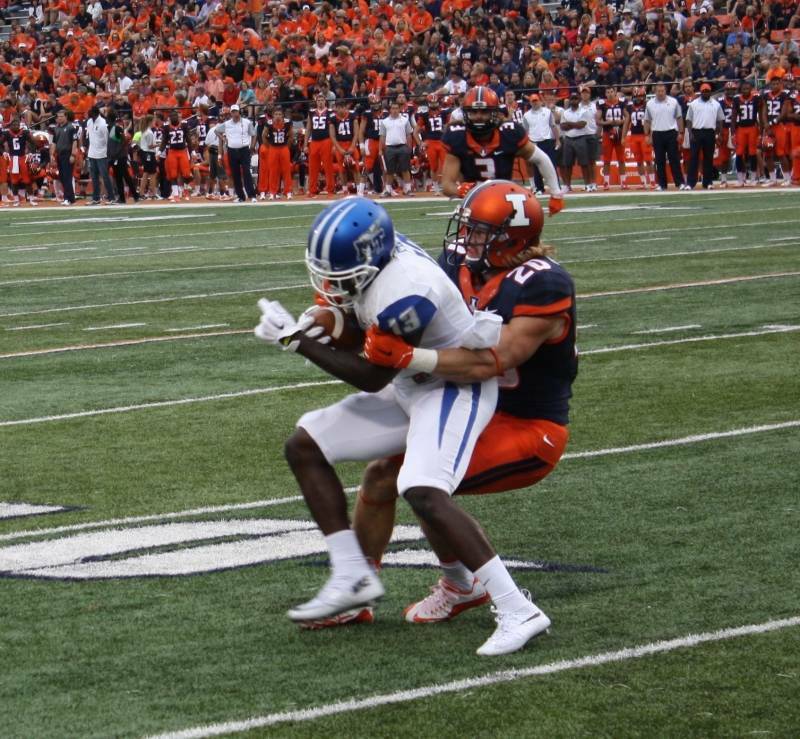 Once again, it was Illinois's defense that did the trick: scoring on a blocked punt, recovering a fumble, and holding the Middle Tennessee running backs to just 38 net yards. This is very, very encouraging for Illini fans, with the caveat that opposition (with the exception of Purdue) steps up, big time, starting next Saturday. 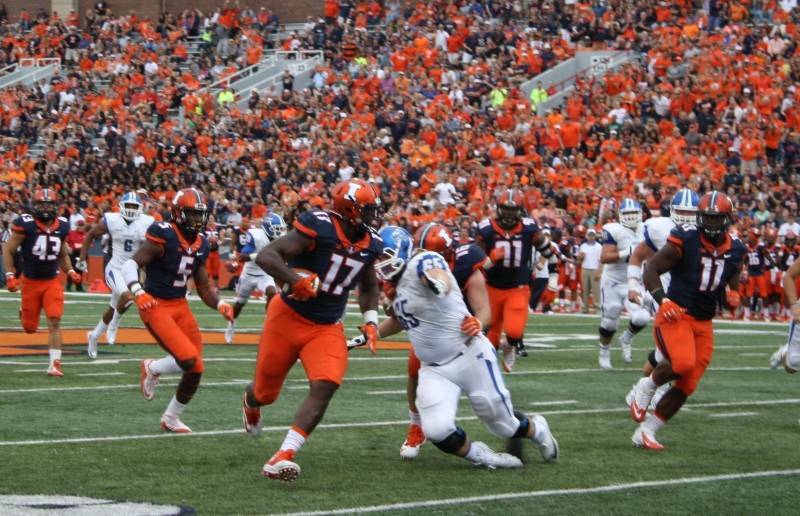 So, after four games, Illinois is where it should be in terms of record. But is the level of play there? We'll find out when Nebraska visits next week.